In partnership with Historic New England, Vermont Folklife Center researchers have been exploring and documenting the role of the Grange in Vermont today - specifically focusing on two active community Granges: Middle Branch Grange in East Bethel and Riverside Grange in West Topsham. The research will culminate in a documentary film premiering in Spring 2018 entitled, "Rooted: Cultivating Community in the Vermont Grange." The film goes inside the Grange, the national farmers’ organization, to explore how it has worked to strengthen and preserve rural communities since 1867. 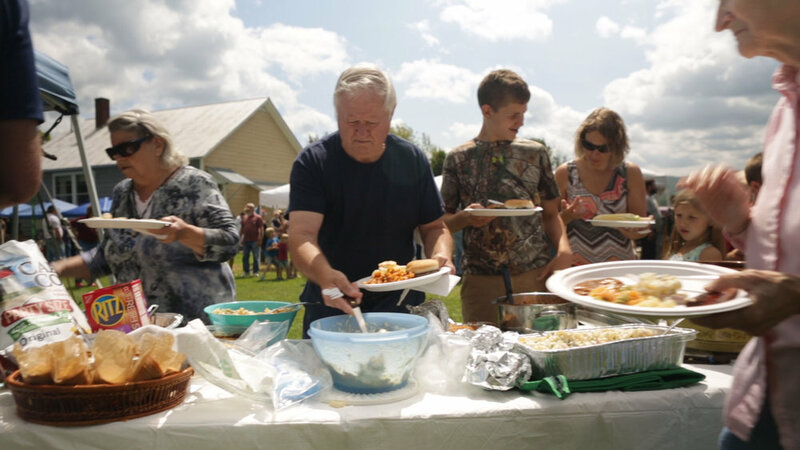 Working closely with the Middle Branch Grange in East Bethel and Riverside Grange in West Topsham, the film explores the social, economic, political, and agricultural impacts of the National Grange on Vermont’s rural communities over the past 150 years. The film weaves archival images and oral histories with footage of modern day Grange events to paint a comprehensive picture of the organization and the New Englanders it supports. The film is the latest project in Historic New England’s Everyone’s History series, which partners with communities and organizations throughout the region to collect and share stories of life in the twentieth century and beyond through exhibitions, walking tours, films, publications and programs. More Information at www.historicnewengland.org/explore/everyones-history/. 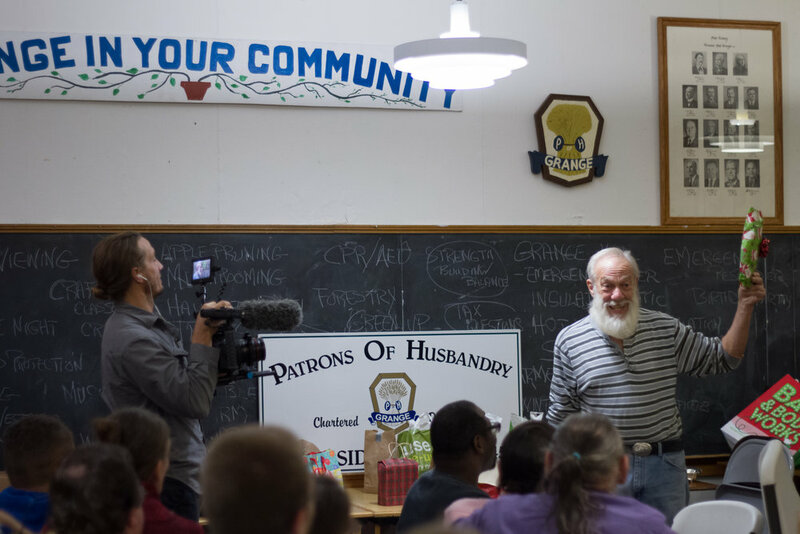 The collaborative partnership with the Vermont Folklife Center—whose mission is to explore, document, and share the diverse cultures of Vermont—has brought an ethnographic approach to the film project. “Ethnographic research is the process through which we discover the invisible ‘knowledge of everyday living’ as well as the values that shape community identity. At the Riverside and Middle Branch Granges, the living connection to the past through ritual, work, and social gathering is paramount,” explains Vermont Folklife Center filmmaker, Ned Castle. The documentary was supported in part by grants to Historic New England from the Alma Gibbs Donchian Foundation, National Grange American Arts and Culture Fund, the Vermont Community Foundation Small and Inspiring grant program, the Farm Credit Northeast AgEnhancement program, and the Williston branch of Yankee Farm Credit, with additional support from Lyman Orton & Janice Izzi through the Vermont Folklife Center. The Preservation Trust of Vermont and the Vermont State Grange have served in an advisory capacity throughout the project. Historic New England shares the region’s history through vast collections, publications, programs, museum properties, archives, and family stories that document more than 400 years of life in New England. For more information, visit www.historicnewengland.org or call 802-989-4723.